There are some people who always use their smartphones at night, or in a dark place with their phone brightness so high. This is a very dangerous habit as it affects the eyes negatively. There are some phones after lowering the brightness, it will still be too bright for the eyes, and that is why I'm introducing these two apps below called Night Mode and Dimly, for you to use to lower the brightness of your phone's screen. 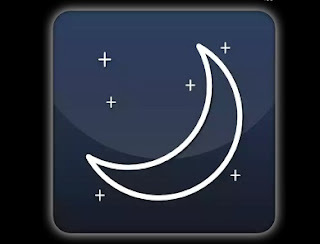 Night Mode: This app reduces the brightness of your screen further than the default Android settings. All you need to do is download and install the app. then launch it and you will be presented with an option to set your screen brightness. Push the slide backwards till it reaches your desired brightness level, then press Start. It automatically dims your screen. Download Night Mode Here. Dimly: This app works similar to Night Mode. Once you install the app, anytime you launch it you will see the dialog box on your Home screen. You can change the settings by tapping on the down-pointing arrow on the app’s home screen then tapping on the gear icon. Note that you can adjust the brightness directly from the Home screen. Download Dimly Here. I hope you find these apps useful. Kindly comment and share. Android screen brightness dimmer. How to reduce Android screen brightness. Dim Android screen brightness. Screen dimmer apk download. Night mode Android. So to activate this function, I will need to download another app. Abi? 😂😂😂😂 Android Mata don tire me. Lol... Why don't u like downloading Android apps?